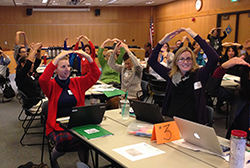 The Core Learning Department delivers high-quality professional development to teachers, coaches, and administrators. 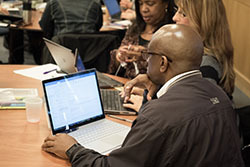 Core Learning helps Alameda County educators to successfully implement the new California State Standards in English Language Arts/English Language Development, Math, and Science while integrating the effective use of technology. Our experts convene a Core Coaching Network to support content coaches to meet individual student learning needs so that every child is successful in school and prepared for a successful future. Our work is informed by student data and is grounded in research-based practices.